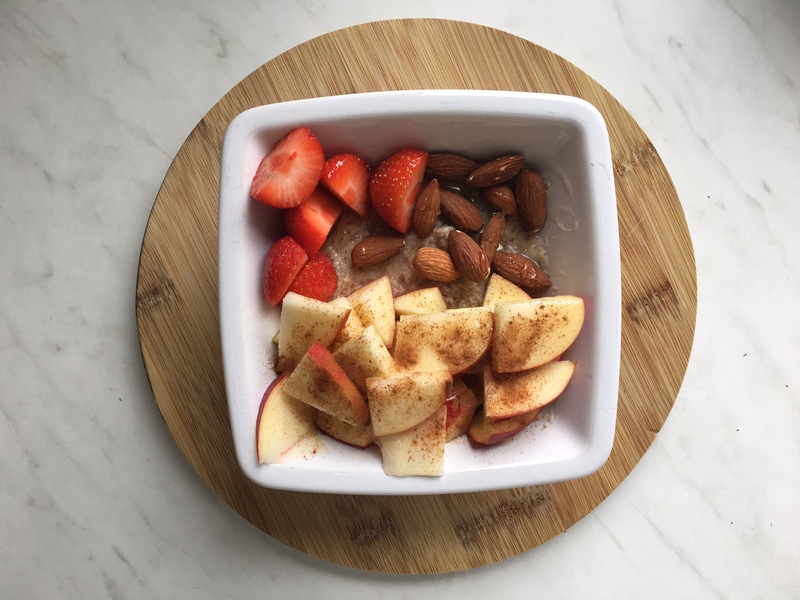 My favorite breakfast which I make in 50 seconds is not only healthy, but also very tasteful. It’s made from a very populair so-called porridge form Holland; Brinta. This so-called “grown-up version of Bambix” is extremely healthy, especially in the morning. It’s made of whole wheat and is very easy to make. I combine it with some fruits. Add Brinta to the milk, place it in the microwave for 30 seconds, add the fruits and nuts. Top it off with cinnamon and honey. Bam! There you go, enjoy!